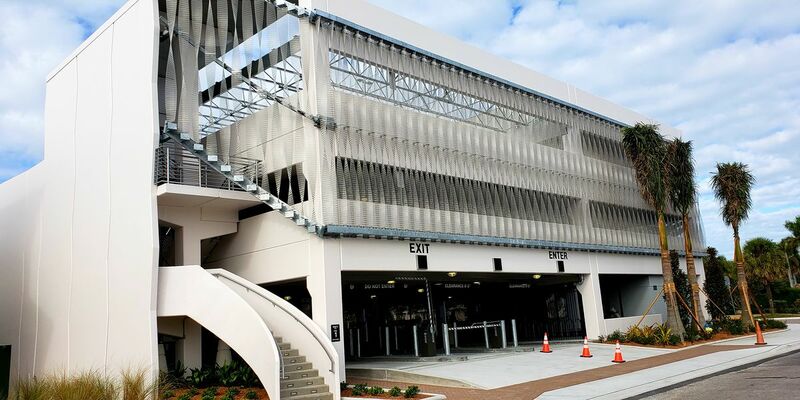 SARASOTA (WWSB) - The new parking garage in St. Armands Circle opens tomorrow, but already one merchant is upset on two different fronts. Barbara Pugliese, Owner of “Just/Because” says it’s not fair other parts of the city don’t have paid parking yet. "We have a lot of customers with reservations about that. What’s the incentive about coming to St. Armands versus going downtown or to a mall where it’s free. parking? Is it going to drive business away or are people going to continue to come? It’s important we have paid parking all over the city, not just in one business district so we’re not pitting one of us against someplace else..” Pugliese said. City Parking Manager Mark Lyons says, even though the garage officially opens tomorrow, it is already opened today. He says during the “soft opening” there won’t be any charge for parking.